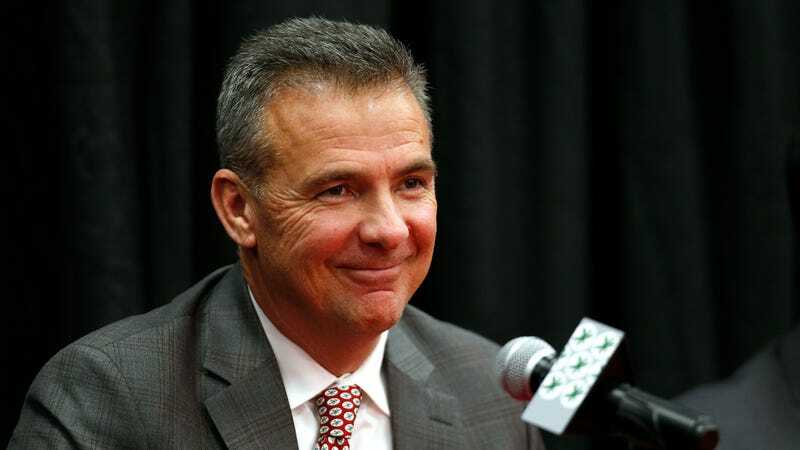 Ohio State football has already started to feel the effects of Urban Meyer’s decision to retire at the end of this season for health and family-related reasons. Two of the Buckeyes’ seven commitments from the 2020 recruiting class have announced on Twitter that they’ve decommitted from the program. The first was four-star safety Lejond Cavazos. The second prospect, and admittedly the more notable one, is four-star offensive tackle Jake Wray—the 56th-ranked player from the class of 2020. Wray cites his older brother Max, a freshman offensive lineman who plays for the Buckeyes, as a reason for why Ohio State will remain as a top choice for his commitment, but the Georgia-native can keep his options open as he has offers from 24 schools including Alabama, Michigan and Oregon, according to Cleveland.com. The decommitments probably won’t stop with just these two players. Both prospects said that playing for Urban Meyer was a deciding factor that led to their initial commitments, and it’s likely that that was the case for others in their class. ESPN’s Tom VanHaaren reports that recruits from the 2019 class “have mostly been steadfast” in sticking with Ohio State, with the top-ranked player in the class, Garrett Wilson, confirming his commitment to the program. However, the 2020 class seems to be a different story. It’s good to know that recruits from the 2020 class are at least taking advantage of the extra time they have to mull this decision over. If the early signing period wasn’t about to start on Dec. 19 for players in the 2019 recruiting class, we’d likely see those kids also following suit.